Settled on an acre in Myers Park, North Carolina, this classic yet fresh home is designed to reflect its bright young homeowners. 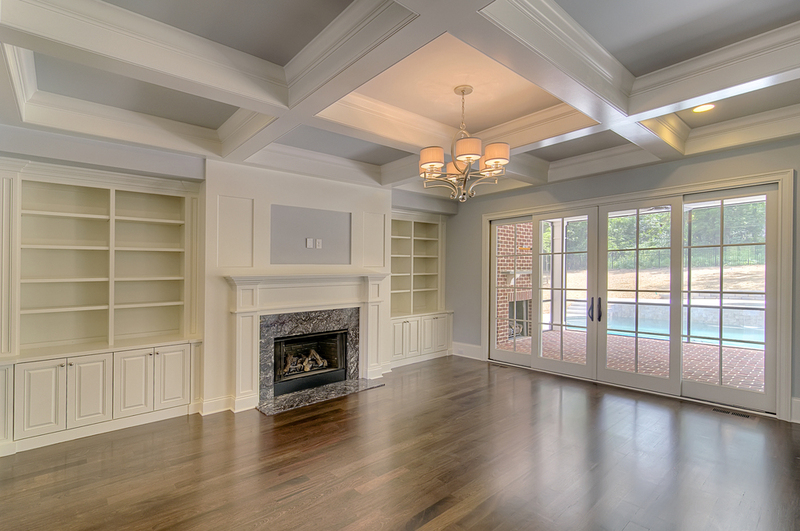 From laying out the floor plan to defining the interior design plan, KBN Interiors worked with the Virginia couple to bring this Georgian style home to life. The KBN design team also worked closely with Smith Slovik Residential Design Group to draw up the plan. At the heart of this home is the kitchen—a space designed for gatherings of friends and family; a place to enjoy good company and great food. B&E Custom Cabinets provided the beautiful cabinetry. Underfoot, the sleek hardwood floor sets the stage with a rich honey glow. Ferguson fixtures and Thermador appliances elevate this kitchen to top of the line interior design standards. KBN Interiors provided custom selections throughout the home. Highlights include the sparkly marble granite countertops by AGM Imports, and an array of stunning crystal light fixtures by Lee Lighting.